A DIY expander for the Doepfer A-112 Sampler/ Delay/ Wavetable Osc. Since re-buying the A-112 earlier this Summer, it's become a frequent feature in my music. The one thing I wished it had was a built-in feedback function for delay duties. This can be patched, but ties up a mixer, usually a four-channel, 8HP one. This passive 4HP mixer is dedicated to that task. It also incorporates a mod to bypass the A-112's filter and AC-coupling circuit which allows one to record and process CVs. The source signal is mixed with the output of the A-112 via resistors. Feedback is controlled via a pot. A mult of the return signal is used as the main output. You can download the schematic and extra pictures here. Experiment with the values of the resistors to get the best results for your set up. I'm sure an active circuit would have been better, but to paraphrase Nicolas Collins: if it works and doesn't smoke, don't sweat it! As with Bitsy, I used a PCB blank, this time from MFB. Thanks to Schneidersladen for the spare Cliff jacks and Cwejman-style knobs. They're D-shaft, but that's nothing a quick blast with a drill can't solve. Today's Patch of the Day is a jam with two feedback paths: the output of the A-112 was first sent to the A-199 spring reverb before being returned to the mixer. The oscillator was the A-143-9 QLFO, itself receiving a little feedback to bend its sine into a triangle. DIY can be fun and frustrating but it's worth the effort, especially if you end up with a module that meets your own needs. As ever, the usual disclaimer: modding your A-112 will void your warranty, carry out at your own risk! Comparing the thru-zero linear FM response of the Cyclonix Cyclebox to the Cyndustries Zeroscillator and Harvestman Hertz Donut. 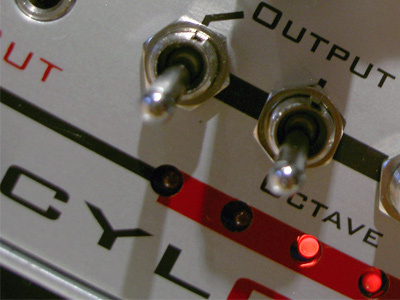 I like timbral oscillators and use them in my live sets. The Zeroscillator is too big to gig with, so the Hertz Donut usually takes its place. While it packs a lot of features into a small space, the HD is less than hi-fi, so I was hoping the better-spec'd Cyclebox might be an alternative. In this comparison, I've focussed on thru-zero linear FM as that is what I'm interested in. For demos of the Cyclebox's other features, look here. I matched the pitches of the principal and modulating oscillators by ear, using mode 0010 on the CB for examples 2 & 3. On the ZO & HD I increased the modulation depth as far as I could before pitching artifacts were evident. The CB's FM index was set to full. As you can hear, the CB doesn't seem to allow the same level of modulation as the ZO & HD, so it sounds muted by comparison. This can be addressed to an extent by increasing the gain, but as this feeds the wave-folder, the results are not the same. It's not clear from the manual whether the internal ratio setting is discrete or in semi-tones, but this might explain why it's easier to achieve clangorous/ bell tones on the ZO & HD. Overall, the CB's linear FM response reminded me of the Livewire AFG, namely better than most non-thru-zero VCOs, but lacking in brilliance. The Cyclebox is more hi-fi than the Hertz Donut, but because I couldn't push the index as far in a dynamic FM patch, I found it lackluster. Both digital VCOs offer a built-in modulator, smaller footprint and more stable FM. However, despite the inaccuracies of analogue, I prefer the thru-zero linear FM tones of the Zeroscillator. A look at and listen to the Zeroscillator's quadrature outs. 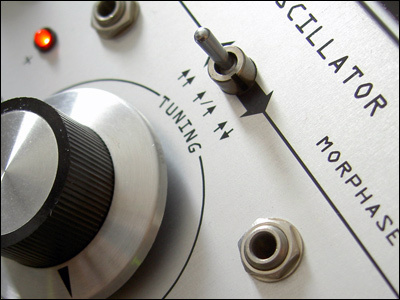 Often overlooked and sometimes misunderstood, the Zeroscillator's morphase function can yield stunning sounds or be used as a complex modulation source. 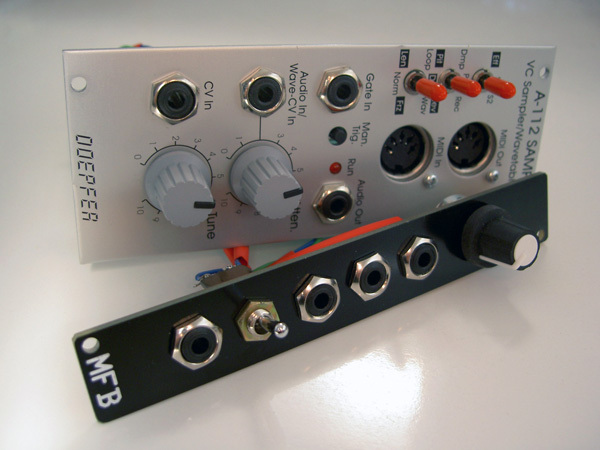 The outputs offer four phase-shifted versions of the main oscillator (0, 180, 90 & 270 degrees). They can be wave-shaped from triangle to amplitude-compensated square via sine. This morphing can be manually or CV controlled. A three-way switch determines how the outputs are affected: both, independent, inverse. The CV inputs (A & B) are unattenuated, the manual pots act as an offset. With the switch left, an LFO patched to 'input A' sweeps the 0 & 90 degree outs from triangle to square and back. With the switch right, the 0 degree output morphs as before, but the 90 degree tap sweeps from square to triangle. With the switch in the middle position, two CVs are required, A & B, for independent morphing. Quadrature wave-shaping. 0 & 90 degree outputs panned left & right, dry. The recordings give an idea of some of the stereo effects possible using just two outputs of the Zeroscillator. Example two features linear FM, while clips 1 & 3 show off one of my favourite patches: zero bias, modulator to FM in. This is another form of wave-shaping and is a great source of plucked string sounds. The quadrature sines are not as pure as the main out and might need calibration to ensure similar waveforms at similar settings. Of course, as soon as one introduces dynamic wave-shaping, this is less of an issue. The quadrature outs can also be used in LFO mode for panning duties, but you might be better off getting an A-143-9 for this. Aside from the price difference, the QLFO is the best ZO modulator I've found, due to its clean sine and negligible DC-offset. The Zeroscillator is a complex beast and needs some patience and care. However, the sounds it's capable of are worth the effort. 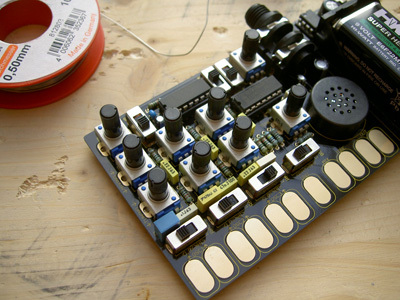 Some sounds from Tom Bugs' DIY Workshop Osc Machine Pro. The kit comes with all necessary parts, excellent instructions and was a joy to build. The schematic reminded me of some of the circuits in Nicolas Collins' Handmade Electronic Music, some of which I used in my Trobetronic40. What makes the WOM special is its power starve, touch plate control and, I suspect, its CMOS-based mixer. The latter seems responsible not just for volume control, but also the way the oscillators interact. Click here for more info on the build. The WOM Pro puts out enough juice to be plugged directly into the modular and, used with an envelope follower, random generator and the Borg filter, is capable of Benjolin-esque sounds. Try setting the VCO range switches to a midway position. The resulting uncertainty opens up another can of bug-sounds. Thanks to Tom for an excellent kit. I was going to give the WOM away as a present, but it's too much fun - highly recommended! To celebrate the blog's third birthday, I've finally re-uploaded my old content and released a new EP, 'Keep the Smash'. The seven tracks were recorded over the summer and feature the sounds of my modular and the unruly Sunsyn. Some of the pieces involved MIDI, others relied on audio edits and digital processing. Part of the fun was setting live patches in a new context, as in iirc or Smudge. 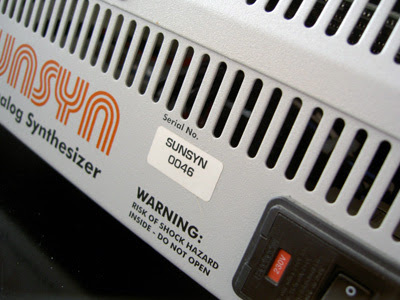 The Sunsyn continues to surprise, refusing to do what you want, but nevertheless giving you something interesting. As you can hear in the title track and The Kick, I've learnt to give in to its whims. 'Keep the Smash' can be bought from my Bandcamp page for €2.99 or more. Once I'd found a suitable solution, re-uploading three years' worth of content was straight-forward, if time-consuming. I settled on Sugarsync as it offers 5GB of free storage and doesn't have a monthly bandwidth cap. Going through my old posts, I found some forgotten gems. If you missed them first time 'round, here are a few of my favourites: Buchla Bore, The Organ Grinder, Hands-On Experience, Releasequence. If you do find any dead links, let me know in the comments section. Enjoy the restored content, the new EP and your modular - here's to another year!